You might have noticed that WordPress.org lists the most popular plugins for 2014 in the right sidebar in the plugins directory. As we’re nearing the end of 2014, I thought it would be interesting to not only provide a quick explanation of each of these plugins, but to also explore some of the other popular alternatives. Just because a plugin is listed in the most popular list, doesn’t always mean it’s the best fit for your project. Last week we talked about selecting the best WordPress theme, many of the same rules apply when selecting a plugin. Be ruthless and only use quality plugins. I haven’t included the star rating because all of them (apart from WordPress Importer) rate 4 stars or 5 stars.It’s not a definitive list, only based on my experiences. Hopefully you’ll come across a few new plugins that you might not yet have heard of!These numbers are taken from WordPress.org (https://wordpress.org/plugins/browse/popular/), current as of the 26th November, 2014. As you will probably notice, the ranking isn’t based on downloads alone. Automattic has their own criteria to determine this list based on other factors. Akismet comes with every WordPress installation, so it shouldn’t come as a shock that it’s in the top 12. Akismet is a highly effective anti-spam platform that you can easily integrate with WordPress to help fight comment spam. It’s nearly 10 years old and run by the team at Automattic, so if you’re looking for a good anti-spam solution for WordPress, look no further than Akismet. A personal favorite, WordPress SEO by Yoast is the most popular WordPress SEO plugin. The handy traffic light analysis of your posts and pages helps anyone (even your clients/users) optimise their website content at a glance. There’s also a host of settings that help make SEO a much more user friendly experience. There are other great SEO plugins, but why I always recommend this one is due to the team over at Yoast. They’re prolific and well respected contributors in both the SEO and WordPress communities. Yoast also offers extensions to WordPress SEO including Video SEO, News SEO, WooCommerce SEO, Local SEO and WordPress SEO Premium. Nearly every site needs to capture data at some point. Be it a general enquiry, lead, quote or to collect feedback, most sites require basic forms. Contact Form 7 is a robust form creation plugin and does the job of creating forms, storing and displaying the submitted data. There are also several plugins that work with Contact Form 7 that add features such as CAPTCHA, CSV export and email list integration. Some of the commercial alternatives (listed below) are more polished, with drag and drop interfaces and more features, but for simple forms, Contact Form 7 is suitable. XML Sitemaps are important for helping the search engines efficiently crawl your site. By using an XML Sitemap you can specify what content to index and what to ignore, as well as priorities and timeframes that search engines should visit. Google XML Sitemaps is an easy way of automatically generating XML Sitemaps, however it’s worth mentioning that WordPress SEO by Yoast also included this feature. Not everyone uses an SEO plugin, or they rely on their theme for SEO settings. Either way, they’ll benefit from this plugin. Jetpack is not your typical plugin, it’s a plugin on steroids! It brings the best features from WordPress.com to your self-hosted WordPress.org site. Contact forms, CDN, social sharing, stats, Markdown support and too many other features to list, if you haven’t yet looked into Jetpack I’d recommend Jacco Blankenspoor’s guide to Jetpack to learn more. Wordfence is an extremely popular security plugin that boasts a very comprehensive list of features covering hardening, core file scanning, scanning content for bad URLs, scanning for known malware and backdoors, limiting crawlers/bots, blocking brute force attacks and much more. On a high traffic site, Wordfence may need some tuning. 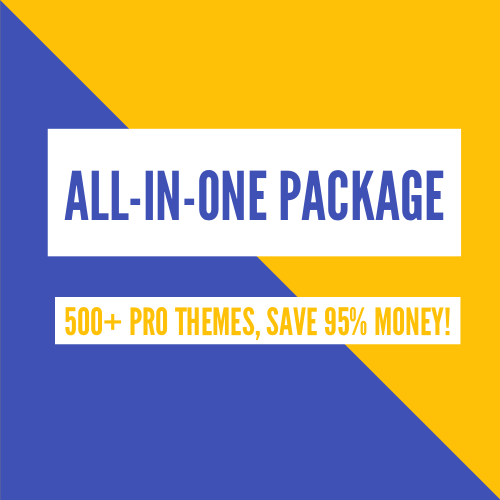 But luckily, due to it’s popularity, there are lots of people in the WordPress community that can help, as well as the option of premium support directly from Wordfence if you need it. Security is such an important topic, I’d recommend not only checking out the alternatives, but also taking the time to read the official WordPress documentation on hardening WordPress to understand the overall concepts. It will help you use these plugins much more effectively. Google Analytics tracking code can easily be added in numerous ways without using a plugin, however this is a quick and easy way for anyone to do it without modifying templates. Also, many themes will come with a script section perfect for tracking code. I’ve come across users that aren’t keen on adding plugins (and I understand why), but I think it comes down to your preference. There are additional features you get when using this plugin, such as tagging outbound links, downloads, 404s and filtering specified WordPress user levels to name a few – so it’s not only convenient, but attractive for those who care about their analytics. With over 11 million downloads, it’s safe to say that NextGEN is the most popular image gallery plugin. It offers features such as managing multiple galleries, displaying images in a slideshow or thumbnail format as well as a variety of additional options like lightbox effects, transitions and size controls. It’s also worth mentioning that there’s a legacy version of NextGEN called ‘NextCellent‘ that gives users the option to use a supported, older version. There’s no doubt that WooCommerce is currently the king of WordPress eCommerce. WooCommerce is a very intuitive eCommerce platform, with a range of powerful features – either native or easily added by extensions. Just like WordPress has plugins, WooCommerce has extensions. These give you more options than the default offering, for example checkout add-ons, shipping calculators and wish lists. Also worth mentioning, WooCommerce just recently held their first annual WooConf, which is a good sign of a healthy future. Whenever you’re importing content from another platform, an older version or WordPress or even from WordPress-to-WordPress, you’ll need this plugin. WordPress Importer can import posts, pages, tags, categories and custom fields. WordPress can export content natively (Tools > Export), but you need to install WordPress Importer to import this content. As a die-hard Yoast fan, I’m biased, but I must say I still like All in One SEO Pack. I’ve used it myself if it’s already installed on a site and although there are differences between All in One and WordPress SEO by Yoast, the average user is unlikely to notice or even care – and advanced users have all they need to tweak things. A good backup process, be it a plugin or service, is critical. It’s not surprising that a backup plugin takes place in the top 12 downloads. BackWPup Free is a free plugin, and they also have a ‘pro’ version called BackWPup PRO that also offers many more advanced backup features such as additional backup destinations, differential backups and MySQL backup options. There are lots of great alternatives in this category, some free and some paid – but there’s something to suit even the most sophisticated requirements. Every WordPress user and developer has their own favorite plugins (just check out the collections over at WPCore), these most popular WordPress plugins are what suits your projects, your clients/users and your own personal preferences. If you’ve come across a good alternative to any of the above plugins that’s not included, please feel free to list them in the comments below.